Serigraph, Signed and Numbered by the Artist. Shmuel Katz is one of the most popular artists and illustrators in Israel. 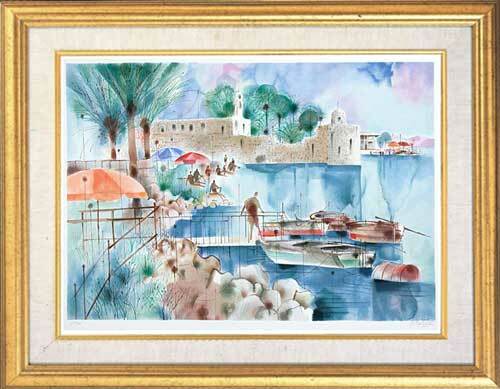 Most of his paintings display the towns and vistas of Israel, through the unique prism of his imagination and soul urge. All at once, he grasps the gist of the subject of his painting, and succeeds in expressing the special \'pure poetry\' of each and every place. Yellow-orange colors dominate his work, traces of the Israeli sun that casts its splendor on everything.